Let us custom design a package for you. Everything is included: Licenses, Fuel, Bait, Tackle, 400lbs of Ice. Just bring whatever you would like to eat and drink. Bottled beer is OK too. 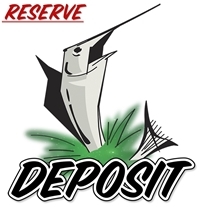 At the end of the trip we will clean and package your catch. and can even arrange shipping. Please contact us for further information on our rates, packages and availability. 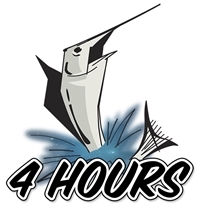 This half day charter (4 hours) includes $100 charter deposit. When the fishing is hot and you can't stop! Each additional hour is $100. Mix and match any or all available packages. 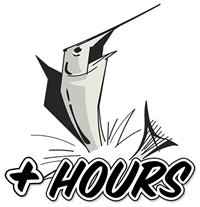 Ask about tournament fishing. Kingbird participates in all local tournaments. All active military receive 10% off. Kingbird never books 2 trips in one day incase the fishing is hot and you want to keep going!! Copyright © 2013 www.kingbirdcharters.com. All Rights Reserved.